We celebrate World Cocktail Day each year on the anniversary of that momentous day. But let’s be real; the cocktail has since become more than a simple wedding of ingredients and a flick of the wrist. To shed light on modern day cocktail menus and trends so that you can enjoy World Cocktail Day for all it has to offer, we sat down with Morgan Schick for a drink (or three! ), the bar manager of revered San Francisco hotspot Trick Dog and the town’s newest Basque-inspired restaurant and bar Aatxe. A self-proclaimed charmer who openly admits to bringing his own liquor on long flights, Schick, who is part of the Bon Vivants, a nationally recognized cocktail, hospitality, marketing, and design firm, shares his secret recipe for understanding, mixing, and enjoying au courant cocktails. Have fun! Drinking is about a good time. Schick advises, “Take drinking seriously, but don’t be too serious.” Appreciate the craft and enjoy the art. Ask the experts. “It’s hard to tell from a cocktail list if a drink will be sweet, sour, or bitter,” says Schick. Don’t hesitate to chat with the bartender, so you can feel confident about exactly what you’re ordering. Write your own tale. A cocktail is an experience, not a drink. At Trick Dog, menus are conceptually themed and cocktails are named after colors, zodiac signs, and San Francisco landmarks. Give your home-mixed favorite a quirky twist by coining it after a memorable adventure, or order something extra exotic when out to make it a night to remember. Currently, the menu at Trick Dog is Chinese-themed, and anyone who dares to enter may order the Boduolige Shuang. Say what? Count us in. Master the home bar. Unsure where to start? 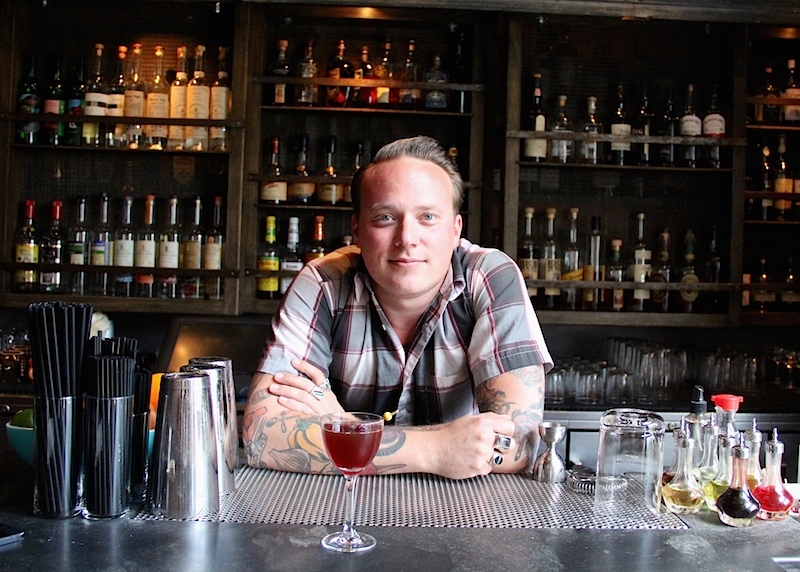 Schick recommends Jeffrey Morgenthaler’s The Bar Book as a great go-to for basic mixology technique. More interested in recipes? 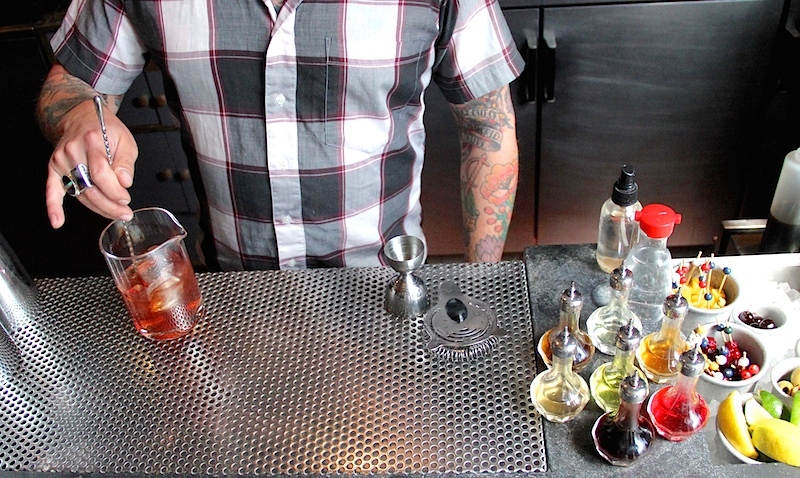 Check out David Embry’s The Fine Art of Mixing Drinks. Don’t get too attached; products and palates are always changing — and Schick has plans to release his own book sometime soon. Keep your eyes peeled for this master’s mixing bible. Understand the basics. Have a roster of drinks that you know like the back of your cocktail-shaking hand. “All drinks can be broken down into the classics,” Schick reveals, “There aren’t that many ways to make things taste good.” You’d never know the palate is limited to five tastes, given that the flavors in each drink Schick mixes up are so transportive; one can conjure memories of diving into warm, salty water while another can remind a patron of schussing down the slopes of a steep Aspen piste. Get trendy. Once you have the basics down, get creative; after all, trends in the cocktail world go in and out as fast as Four Lokos. “We are seeing people using more and more strange ingredients, such as kale, beet juices, and interesting spices and herbs,” says Schick. 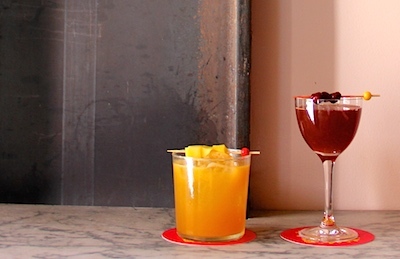 At Trick Dog, they go as far as garnishing drinks with chocolate-covered olives. Don’t be afraid to try new things when drinking out on the town, or use your imagination when at home. Still not sure how to get your stir and pour on today? Check out our Artisanal Cocktail promotions in Atlanta, Chicago, Denver, Los Angeles, Miami, Minneapolis, New England, New York, Philadelphia, San Francisco, Seattle, Washington, D.C., and everywhere in between, to find a spot near you to shake up this hump day and sip in style. Peggy Beim is a marketing communications specialist at OpenTable. Photos by Alex Loscher. Hi Peggy, this man is really creative, I must say. A huge cocktail lover.